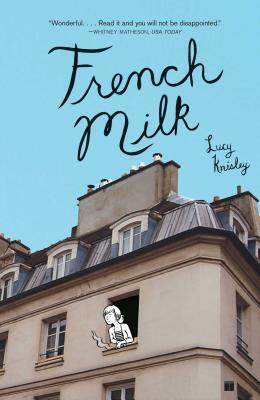 Through delightful drawings, photographs, and musings, twenty-three-year-old Lucy Knisley documents a six-week trip she and her mother took to Paris when each was facing a milestone birthday. With a quirky flat in the fifth arrondissement as their home base, they set out to explore all the city has to offer, watching fireworks over the Eiffel Tower on New Year's Eve, visiting Oscar Wilde's grave, loafing at cafés, and, of course, drinking delicious French milk. What results is not only a sweet and savory journey through the City of Light but a moving, personal look at a mother-daughter relationship. Lucy Knisley is a recent graduate of the School of the Art Institute of Chicago and currently attends the Center for Cartoon Studies. During the month and a half she spent in Paris she estimates that she ate approximately sixty croissants, more than four hundred cornichons, and a metric ton of chocolate mousse. Born and raised in New York, she now lives in Chicago. Visit www.stoppayingattention.com for more information.